At this workshop we venture behind the scenes of nutrition and learn how to nourish our bodies at a cellular level with the optimum fuel for healthy living including the power of juicing and plant-based food. As well as lifestyle tips and tricks, we’ll uncover simple changes you can implement straight away which have the most powerful positive impact on your health. We will stretchand relax with some gentle yoga, pranayama and meditation throughout the day. If you have the intention to improve your health, address a health challenge, feel more vitalised or want to know more about the consequences of the foods we eat then this Wellness Workshop is for you. This event is €75 and includes a delicious healthy lunch, snacks and refreshments. Places are limited to 12 so booking is essential. Get in touch to book your spot! Call/Text 086 194 3285.
unfelt, buried beneath layers of veils. show up to help your Soul shine through. Our own Light is sometimes limited by range and overshadowed by pain. Your lymph system is a very important system in your body that is composed of tissues and fluids that run throughout your entire body (much like your circulation system). However, your lymph system does not have the help of your heart to keep things pumping and moving throughout your body. Therefore, it is vital to make sure that you are helping your lymph system release and empty fluids to avoid any toxic build up (which can leave you feeling weak and unwell). When your lymph system gets congested, it leads to your lymph nodes swelling, which causes pains and aches throughout your body. It will also result in your liver and kidneys becoming toxic, because the toxins and chemicals from your lymphatic system aren’t draining properly. As a result, this can lead to weight gain, poor circulation, hormonal imbalances, digestive issues, and being sick more often… among many other things! Luckily, there are quite a few easy ways that you can stimulate your lymph system every day to release toxins and cleanse your body. 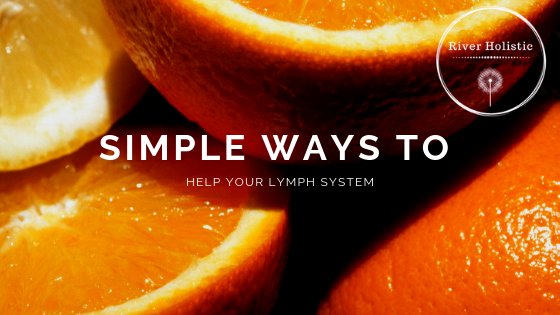 Here are some simple ways to help your lymph system that can be incorporated into your daily routine. Drink a cup of warm water with a slice of raw fruit: Eating raw (uncooked) fruits on an empty stomach will allow the enzymes and acids in the fruit to have a detoxifying effect on your system. Grapefruit, lemon and lime work incredibly well to stimulate the lymph system to drain. Skin Brushing: This can be easily done before a shower by taking a dry brush and gently massaging your entire body using small circular movements always working up towards the heart. This not only will exfoliate your skin, but will also invigorate your lymph system. Hot And Cold Showers: While showering, switch from using hot water to cold water. The frequent change in temperature will stimulate your lymph system to move as well as your circulation by expanding and contracting your body’s blood vessels. Exercise: By walking briskly or engaging in intense exercise every day, you will encourage the lymph system and lymph fluids to circulate to your kidney and liver so that they can be filtered and released from your body. This is were hydration is key, to help the body eliminate everything with ease. Drink Water: To help remove toxins and chemicals, your body needs plenty of water to filter the lymphatic system! Drinking water throughout the day will ensure your body is not only hydrated, but also detoxifying the elements that can make you feel lousy. Massage: Not like you need another excuse to get a massage, but a massage (especially deep tissue or MLD) works to move the lymphatic tissue to drain. It basically “squeezes” the lymph system to release impurities and make room for healthy nutrients to come in and keep your system healthy and functioning properly. Laughter: Getting the giggles causes you to take deeper breathes. As a result, this stimulates your lungs and circulation to work together with the lymph system! The yoga chair has always been a useful friend and great teacher of Iyengar yoga. It allows us to explore our body better, get better extension and support to the spine, get deeper into twists, longer and easier into inversions and so on. Chair Yoga class will be dedicated to learning how to use the yoga chair to improve our understanding and practice in different groups of yoga postures (standing poses, forward bends, back bends, inversions, twists etc.). As always, we will also learn and practice Pranayama on the chair. 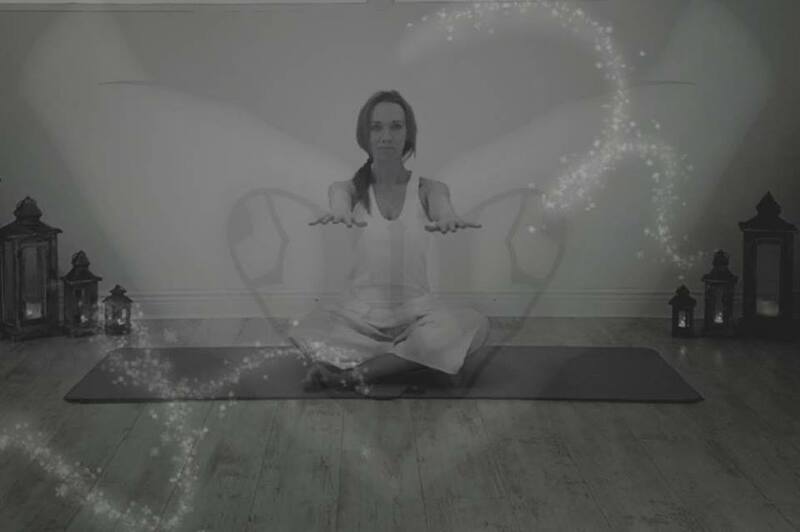 Our class provide a chance to practice yoga on a deeper level in a holistic way, connecting the physical and the organic body through yoga Asanas, each time with a different theme or subject matter. In addition we take the time to touch upon breathing or meditation techniques and inquire into different philosophical aspects of yoga that are at the heart of our practice. Yoga asanas involve extension, exertion, as well as relaxation of the body. The aim of the movement is to align the body correctly. For a yogi, the yoga asanas described below are the foundation of every yoga practice. The objective of a beginner yogi is to understand proper alignment. Whereas a seasoned yogi strives to find greater depths and sustain the asanas for an extended length of time. 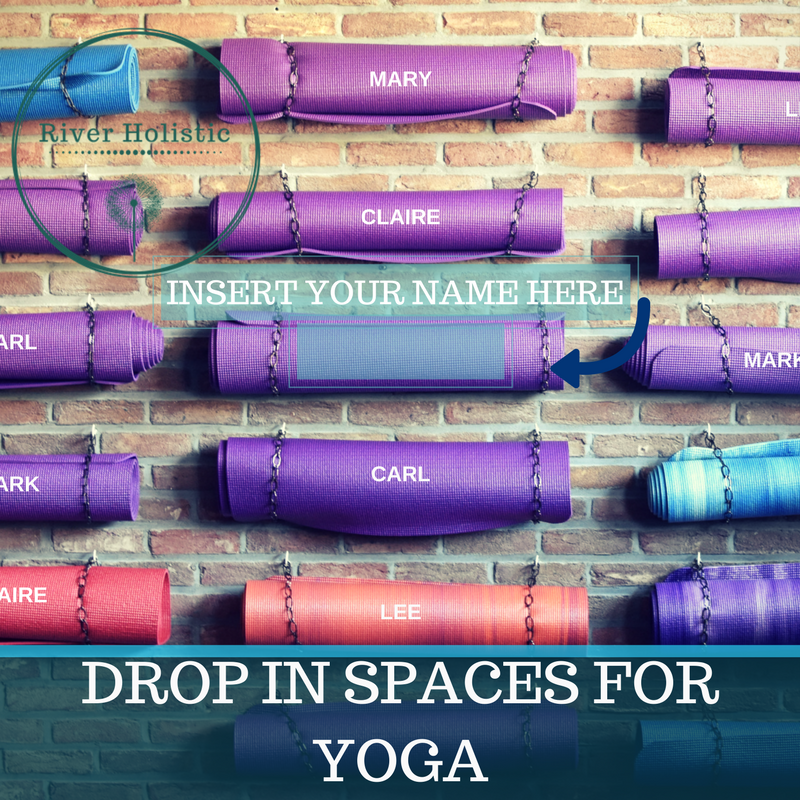 Whether you are a beginner yogi or an advanced practitioner, adding a yoga prop will help to stretch, strengthen, relax and improve the alignment of the body, enhancing the experience of the entire yoga practice. My practice has personally benefited immensely from using props. To recover from a cervical spine injury, I began experimenting with ordinary and everyday objects such as walls, chairs, cushions and blankets. 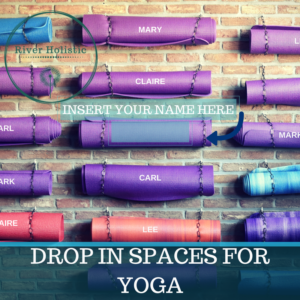 Props have been a core element of several restorative yoga practices over the years. In fact, the chair has been an important characteristic of Iyengar Yoga for decades. The easy availability of chairs made it an integral part of my practice. I was able to do more with the help of a chair, accessing key movements and achieving more height, balance and stability. I could stay longer and relax in challenging asanas, thus attaining their maximum benefit. 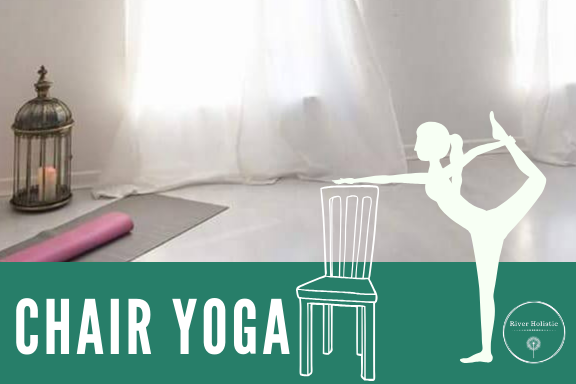 Try these foundational yoga poses using a chair. As a silent instructor, it will help you enhance the understanding of each asana. Important thing to note: the chair should be stable, without wheels and without hand rest and make sure your come out of the pose just like you go in. In a beautiful room with natural lighting and soft music playing. There will be a few yoga mats laid out, each with a folding chair in the middle plus some additional props such as a block and a blanket just in case you need some additional support for the practice. •Improved flexibility. Flexibility allows us to do the activities we need and love to do, from twisting while driving to bending over to play with children. •Better concentration. Incorporating breath work with the poses can help clear your brain of unwanted thoughts, improve mood and decrease stress. •Increased strength. Body strength enables us to withstand falls and injury and helps us with balance. •Reduced joint strain. Chair yoga reduces the strain on joints and muscles, which allows someone who is unable to stand for traditional yoga an opportunity to practice too. There is no doubt that these new systems have increased efficiency by leaps and bounds, but what has been sacrificed is human interaction and a direct connection to the exchange of value. Have you ever booked online for a yoga class and arrived with your new mat and baggy tracksuit bottoms, as you are a complete beginner, and been met with a packed studio of twenty somethings in very tight Lycra doing handstands against the wall jammed in like sardines? I have and boy did I hot foot it out of there and vowed that I would never try Yoga again. Don’t worry I have since. 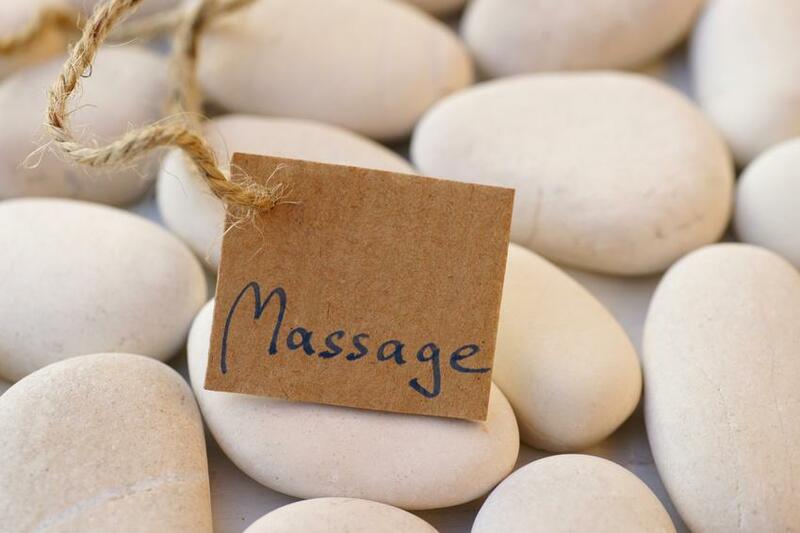 Have you ever booked online for a massage as a treat after a really hard long week to be met by a deep tissue therapist, who yes is amazing at what they do but you feel like you have been beaten up with a baseball bat and all you wanted was sounds of whales in the background, candles lighting and a little hug of a massage? I have, and was left disappointed, not by the therapist, but by the system and not being able to ask for a relaxing light massage and sip of herbal tea afterwards. Now I do understand that life is so fast paced and there is an app for everything to make life simpler, but at what cost? If time is so precious; then what if you do make that mistake of booking in for the wrong class or with the wrong therapist? If you take the time to make a 2 minute call to us here at the centre, we will know exactly what you need and what would suit you best. So rather than make that mistake that will cost you an hour or more from your already busy life, give us a call as we like to talk here at the centre. Then you guessed it, just give us a call and let us help you make the right choice the first time. Psoriatic arthritis is a chronic disease marked by inflammation in the joints and skin. This disease is progressive, worsening over time. If left untreated, psoriatic arthritis can lead to joint damage. Psoriatic arthritis (PsA) is a form of arthritis that mainly affects people who have psoriasis or those with a family history of psoriasis. Often, those with PsA have joint pain and inflammation combined with the inflamed, itchy, red patches of skin covered with silvery scales that are typical of psoriasis itself. The progression of PsA may be slowed with traditional therapies and the symptoms may ease. Alternative remedies may complement these therapies and may help people with PsA feel more in control of the disease. 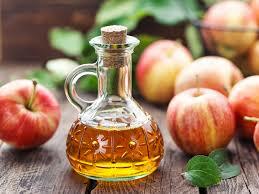 Apple cider vinegar, when applied to psoriasis on the scalp, may help to treat PsA. There are many natural remedies to try for PsA. Most of these do not have much scientific research supporting their use. The use of these remedies is backed mainly by anecdotal evidence. • Apple cider vinegar. Apple cider vinegar has a lot of buzz for, supposedly, being a miracle cure-all. For treating PsA, people may find it useful if applied to patches of psoriasis on the scalp. However, this should be avoided if the areas are cracked and bleeding. • Tea tree oil. This essential oil may ease skin inflammation caused by PsA. However, science is cautious to recommend this as a treatment because it may aggravate more sensitive skin. • Oats. Adding oats to a bath or using oats in a paste can help relieve itchy patches of psoriasis. While there’s little scientific evidence supporting oats as a treatment for psoriasis, oats are highly regarded in folk medicine as one of nature’s best skin soothers. • Turmeric. Turmeric is highly regarded for its anti-inflammatory properties. Studies have shownturmeric may be able to alter gene expression, easing PsA symptoms. People with PsA can either add the spice liberally to their food or take turmeric capsules. • Capsaicin. Capsaicin is what makes chili peppers hot and may be useful by blocking pain receptors. Some research has also found that when used in over-the-counter creams, capsaicin may reduce psoriasis symptoms as well. • Aloe vera. This soothing balm from an aloe plant may provide cooling comfort for irritated patches of psoriatic skin. However, aloe vera should only be used topically and never ingested. Taking it orally may be dangerous. • Epsom salts. A warm bath with Epsom salts may help reduce joint pain and inflammation. Epsom salts contain magnesium, a mineral that boosts bone health and may soothe itchy skin. Warm water also helps loosen joints and relieve pain. People with diabetes should be wary when using soaks of Epsom salts as they can stimulate the release of insulin. • Oregon grape. Some studies suggest that applying creams with Oregon grape (Mahonia aquifolium) can ease psoriasis skin irritation. Like aloe vera, Oregon grape should only be used topically. • Fish oil. Joint pain may be reduced by fish oil. Omega-3 fatty acids found in fish oil help block inflammation and ease painful swelling. • Ginger. A root of ginger is well-known in folk medicine for having many anti-inflammatory properties. Some studies have shown that taking ginger three times a day can reduce knee pain caused by osteoarthritis. When trying these natural remedies, people with PsA should remember that these remedies are not a substitute for prescribed treatments. Massage therapy may help to alleviate joint pain and provide relief from arthritis-related discomfort. There are a number of alternative therapies available to complement PsA treatment. These therapies should not replace the traditional treatments for PsA but can provide some additional relief and quality of life benefits. • Massage therapy. A massage therapist trained in dealing with PsA can help relieve joint discomfort and release tight muscles and joints. A massage can provide significant relief from arthritis-related discomfort. • Acupuncture. This technique involves sticking needles into various pressure points to relieve chronic pain. No studies show its usefulness for PsA but some patients with chronic pain do find acupuncture helpful. • Acupressure. Acupressure involves putting pressure onto different points of the body to reduce pain and pressure, stimulate the immune system, and release tension. 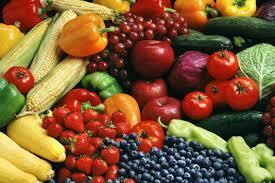 Eating more healthily will not cure PsA but eating well does promote good health and well-being. People with PsA should strive to maintain a healthy weight and stay mindful of their diet. Anyone with PsA may benefit from keeping a food journal and planning healthful meals. The symptoms of PsA often flare up during periods of stress or fatigue. It may help people with PsA to change their lifestyle to reduce stress since stress is associated with increased inflammation. Doing so also helps people to get adequate sleep so that the body can heal itself. • Relaxing. Using aromatherapy, breathing techniques, and keeping a journal may help manage stress and promote relaxation. • Getting gentle exercise. Exercise is recommended for people with PsA. 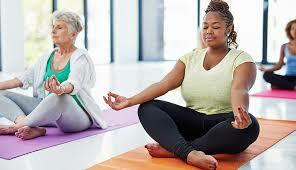 They may find yoga and tai chi particularly useful for helping to loosen stiff joints and release stress. • Meditating. Meditation may result in a deeper level of relaxation that may help alleviate stress, so helping prevent or manage symptoms of PsA. • Getting enough sleep. Sleep is crucial to allowing inflammation to heal and to promoting good health. • Taking a warm bath. Spa therapy, including hydrotherapy like a warm bath, can loosen joints and ease pain and inflammation associated with PsA. These therapies can also promote relaxation and decrease stress. • Practicing mindfulness. 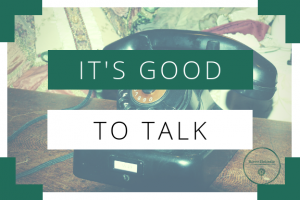 Being mindful involves checking in with the body and taking stock of how its feeling. It also involves being aware of any situations that may cause unnecessary stress. An increased sense of physical awareness can help people to catch a flare of symptoms early so that they deal with it before it worsens. Doing so may prevent a worse flare from occurring. When combining lifestyle remedies with other forms of treatment for PsA, people may find an increased quality of life and more relief. However, lifestyle remedies and natural therapies are not a substitute for a doctor’s care and traditional treatments. Anyone who thinks they are experiencing symptoms of PsA should see a doctor for diagnosis and to begin treatment. As the disease is progressive, beginning treatment early is crucial. Anyone with psoriasis or a family history of psoriasis should be screened regularly for PsA by a doctor. People with PsA should also see a doctor regularly and should speak to one before starting or changing treatments. This includes any natural or alternative remedies. Some natural remedies may interact with prescribed medication or may not be recommended for pregnant or breast-feeding women. In the immensely stressful lives that we are living in the present times, it becomes imperative to include practices such as meditation and yoga in our lifestyle. Apart from reducing stress and generating immense positivity, meditation helps in keeping our heart healthy as well. People who meditate regularly are lesser prone to risks of heart attack and stroke. Meditation can produce changes in the brain activity and can also control heart rate, blood pressure, breathing rate and release of cortisol hormone in response to stress. Meditation means awareness. Anything which is done with awareness is meditation. It is not a technique but a way of life. Meditation is referred to a stage of consciousness when the mind is free of scattered thoughts and ideas. It is considered as a practice which transforms the mind. It helps in improving concentration, helps in getting more clarity, provides emotional positivity and helps a person have a calm way of looking at the nature of things. 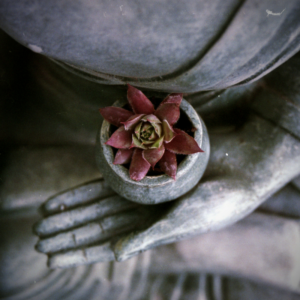 Engaging in meditation enables a person to learn about his/her patterns and habits of mind. It helps a person cultivate new and more positive ways of living. A nourished and positive thinking mind can further transform into extremely peaceful and energised state of mind. Inculcating the habit of meditation in your lifestyle can make you a more enlightened person personally and publically. There are various kinds of meditation which provides several physiological benefits. Mindful meditation helps you focus efficiently in the present and accept it without any judgement. Guided meditation, for instance, a kind of meditation which uses mental images, helps you relax and calm down. Transcendental medication is a kind of meditation which uses repeated sounds and phrases in order to clear your mind. These meditations need to be done for at least 10 minutes in a day in order to get physiological benefits from them. 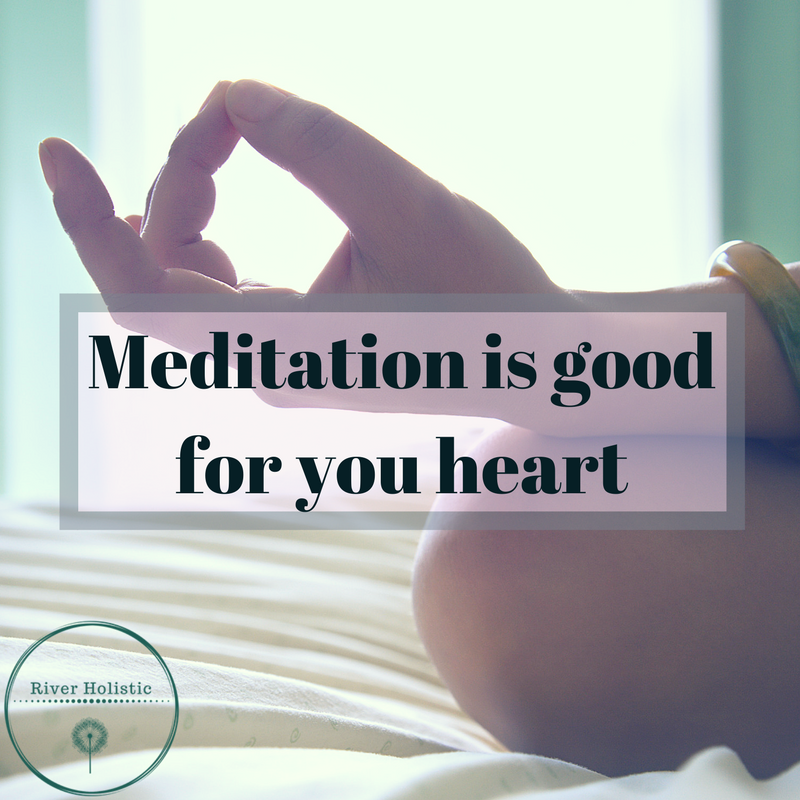 How meditation helps your heart? The National Institute of Mental Health states that around 19% adults experience anxiety within the past year. Around 31% adults were reported to suffer from anxiety disorder at some point in their lifetime. We all experience stress in one way or the other. Excessive stress can contribute to high blood pressure, high cholesterol levels, overeating and physical inactivity. All these factors contribute to increased risks of stroke and heart disease. Mindful meditation helps in reducing both stress and anxiety. Meditating regularly gives a boost to the immunity, eases inflammation in chronic conditions and reduces pain. Those who meditate regularly experience increase in gray matter in the brain, have improved levels of focus and concentration, reduced levels of stress and more will power. Mindful meditation, when combined with cognitive behavioral therapy can thus be considered as an effective treatment for anxiety. We have a number of one to one therapies here at the centre from Psychotherapy , Hypnotherapy, Acupuncture to name but a few. Ascension Yoga Healing is a new-age healing yoga. It is a rising up, a rising ‘within’ to meet our higher selves, it is an energetic cellular clearing as we move through this time of Ascension. We have shifted from 3D to higher dimensions which is creating stress in our bodies. This is a healing practice to work through the affects the Ascension Process has on the physical, emotional and mental bodies. 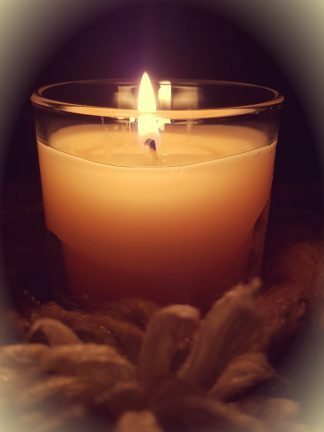 As new incoming energies move through us and release old pain from many lifetimes it is affecting us in these human bodies. As old energy / toxins rise up to move out they can get stuck and we need to work on releasing them gently. New Energy can become stuck as our current physical body is not able to process this high vibration energy immediately. Overwhelming emotions, mental issues and physical discomforts are arising due to all these factors. Ascension Yoga Healing is a new yoga way for an evolving new us! One of my favorite parts of New Years is throwing away the old calendar and getting to start anew. All the hopes, dreams, and fantasies of a new life seem so tangible at New Years, don’t they? Well, have I got news for you. According to a survey by Reuters only a measly 3% of people actually follow through with their big New Year’s resolutions. And psychologists believe that this failure to follow through on bold and brilliant New Year’s resolutions by 97% of us can actually lead to diminished self esteem and lack of motivation in the months to come. Does this mean that the remaining 97% of us who threw ideas in the till for positive change are all losers who cannot commit to anything? Absolutely not! One of the reasons I ceased making resolutions is quite simply because I don’t believe that there is one specific day so enlightened that you can change your entire world in the blink of an eye. I don’t believe that putting all your eggs in the New Year’s basket is necessarily the best way to make changes in your life. Truth is, you can blow in the winds of change any day of week, any month of the year, any hour of the day – if you so choose. I DO believe that New Years should be a time of reflection. What was the last year like for me? What are the things I did right? What are the things I did wrong? Where is there room for improvement and positive change? What are some of the things I would like to continue to do? What am I proud of, and what do I wish I could change? Am I living the best life possible, and if not – what are three simple changes I could make to head in that direction? To me, the New Year is about taking inventory and making a plan. Not just a firm resolution which you are certain to break; that you will never again sink your teeth into a sugary donut, or guzzle down an ice-cold Coca Cola on a hot summer day – but a plan that you will eat two less donuts per week, and only enjoy one soda every other day. Why set yourself up to fail? The last thing you want to do is to feel like a deflated balloon. Instead, start slowly by asking yourself the questions above. Write down your answers and take baby steps toward achieving your goals. The expression “Rome wasn’t built in a day,” rings true when it comes to the beginning of the New Year – and nothing in your life should be all or nothing. If it is, chances are you are setting yourself up to feel guilty or bad down the road. So in light of this we are sharing everything we have on offer for you at the centre, we have drop in classes if you feel like you can’t commit to one of our full time classes and we have weekend workshops that I am sure you will find is calling out to you. Just follow the links below for our workshops and classes and start with baby steps on the right path for you.